IWC unveiled the smartly redesigned Da Vinci just before SIHH 2017, but kept the top of the line model under wraps, until now. 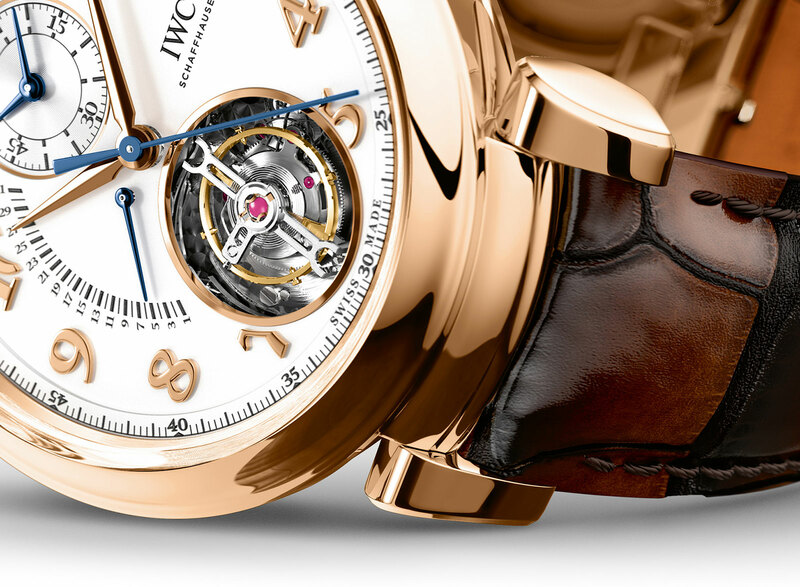 The Da Vinci Tourbillon Retrograde Chronograph features complications found on other IWC timepieces, but never before combined together. Powered by the calibre 89900 – a variant of the movement that also underpins the new Da Vinci Perpetual Calendar Chronograph – its most unusual feature is the hacking flying tourbillon. When the crown is pulled, a pair of levers touch the rim of the balance wheel, which is somewhat small relative to the movement and case, stopping the tourbillon to enable more precise time setting. 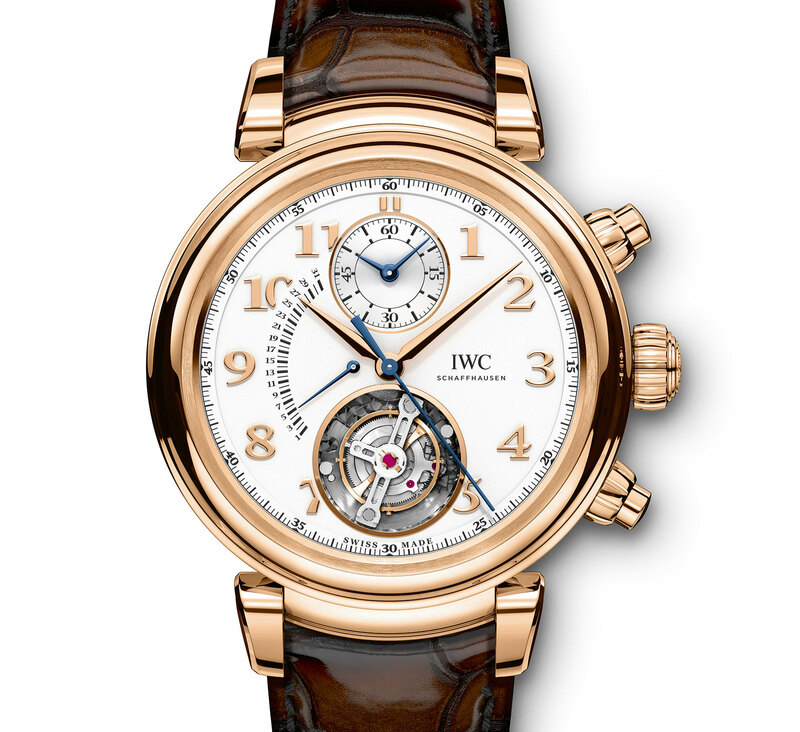 An unusual feature that A. Lange & Söhne pioneered, the hacking tourbillon is a first for IWC. Also unusual are the diamond-coated silicon pallet fork and escape wheel, which boast the hardness of diamond plus the magnetism-resistance of silicon. Again this material has been used by Ulysse-Nardin and Cartier (which is a sister company of IWC), but is making its debut for IWC. According to IWC, the properties of the diamond-coated silicon parts boost the efficiency of the movement enough that the it retains the 68-hour power reserve of the basic chronograph-only version, despite the addition of the tourbillon and retrograde date. On an arc on the left of the dial is the retrograde date mechanism that ends at the sub-dial at 12 o’clock. Like all other watches that use the calibre 89000 family of movements, the sub-dial at 12 contains both the elapsed minutes and hours for the chronograph. 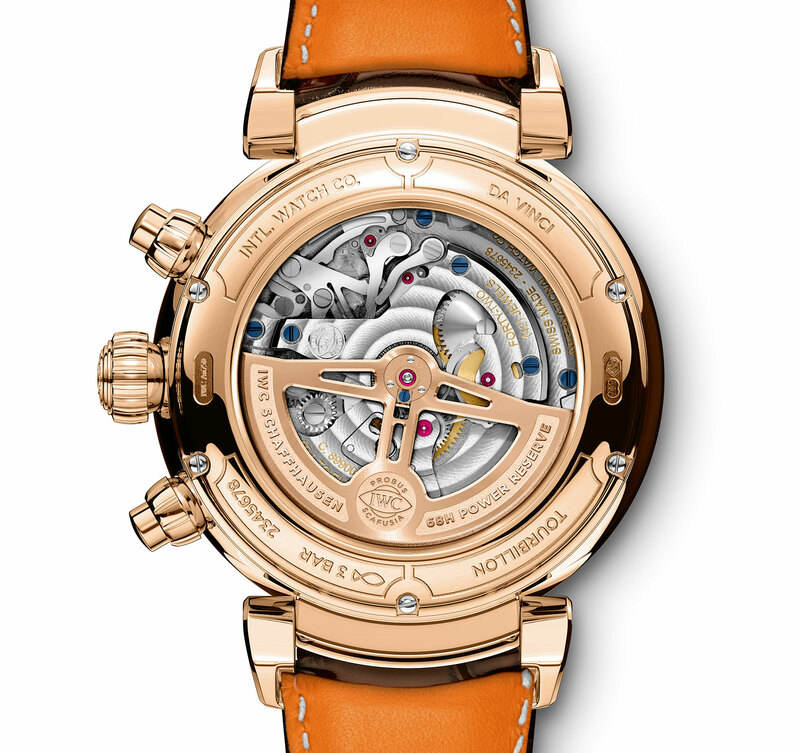 The red gold case is 44mm in diameter and 17mm high, with the articulated lugs that characterise the new Da Vinci. 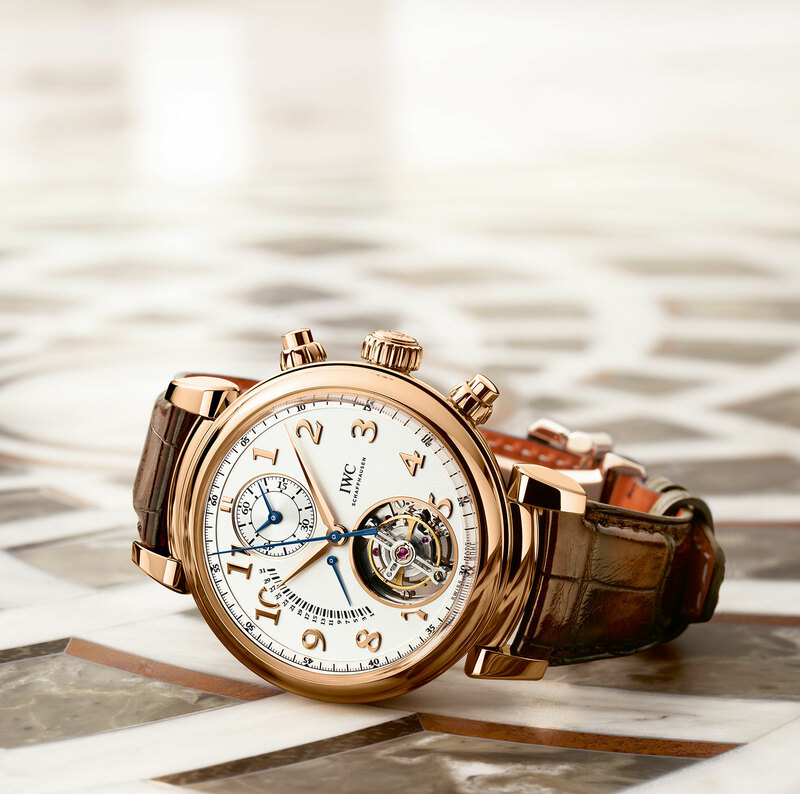 The Da Vinci Tourbillon Retrograde Chronograph is priced at US$103,000.